In 1943, in the final phase of the Warsaw Ghetto Uprising, many of the Jewish fighters besieged in the "bunker" at Miła 18 committed mass suicide by ingesting poison rather than surrender to the Nazis. In 1978, 918 Americans – including 276 children – died of cyanide poisoning in the Peoples Temple led by Jim Jones in Jonestown, Guyana. In 1997, 39 followers of the Heaven's Gate cult in California died in a mass suicide, believing they would travel on a spaceship that followed comet Hale – Bopp. Clearly, some groups took their lives en masse for ideological reasons, while others – particularly vulnerable people in dire need of a "leader" – simply followed orders. In all the mass suicides in recorded history, dozens, hundreds, and up to one thousand people took their own lives. Currently, out of a worldwide population of eight billion people, there are 14 million Jews: approximately six-and-a-half million in Israel, six-and-a-half million in the United States, and one million throughout the world – by any measure, a few grains of sand compared to the massive total population of the world. 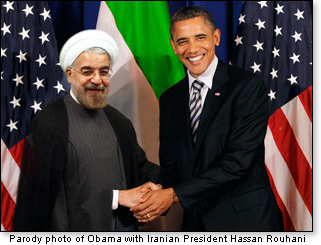 According to U.S. voting patterns, Jews are overwhelmingly liberal...up to 80 percent, which means they vote in huge numbers for leftists like Barack Obama and Hillary Clinton – whose staffs were comprised almost exclusively of career anti-Semites and who did everything in their power to effect anti-Israel policies like the Iran deal, knowing that the fanatical mission of the mullahs in Teheran was – and is – to wipe Israel off the map and exterminate every Jew. As Karin McQuillan explains in "Lefist Jew Hatred Has Come to America": "The Left began with blacklisting and boycotting conservatives. Now American Jews are in the crosshairs, no matter how liberal their politics." But they won't jump off the bandwagon, she says, because that would mean "losing your friends, being shunned at synagogue, and stunting your career...changing party affiliation is a such a tall cliff, it feels suicidal, that is, the loss of their entire identity. The identity politics, blame-America crowd can't stand the Jewish-American success story." McQuillan quotes the estimable Daniel Greenfield: "There is no future for Jews on the left except as collaborators in anti-Semitism." Look no further than the full-bodied ideological and financial support that liberal – suicidal – Jews lend to virulently anti-Israel organizations, many of them founded and financed by leftist Jews, such as the Women's March, Black Lives Matter, the fascistic Antifa, J Street, If Not Now, Americans for Peace Now, B'Tselem, Bend the Arc, Breaking the Silence, New Israel Fund, Jews for Racial and Economic Justice, The Forward newspaper (recently defunct), Michael Lerner's Tikkun magazine; Reform Action Center, T'ruah (formerly Rabbis for Human Rights), Jewish Voice for Peace, and Jews for Racial and Economic Justice, et al. Impossible, you may say. To the contrary, it's not only possible but a hard, cold reality that these unJews, as political commentator Dan Friedman calls them, support the very people identical to those who annihilated the entire population of Europe's Jews during Hitler's reign of terror during the 1930s and 40s. Why? Because it's hard to be a Jew, and liberal Jews are simply not up to the task. The desperate need to be liked, accepted, admired, and embraced is the historical downfall of weak Jews. That is why so many Jews adored President Franklin Delano Roosevelt, who stacked his administration with Court Jews and then stabbed every Jew in the world in the back...refusing refuge to the few who escaped Hitler's murderous onslaught by turning away thousands from our shores and sending them back to their grisly deaths. And he counted on – who else? – weak liberal Jews and a complicit leftist media – to cover for his mortal sins! Even if only 50 percent – and not the actual 80 percent – of liberal Jews support candidates who hate Jews and hate Israel, that means that seven million of the 14 million Jews on earth are paving the way to another Holocaust. 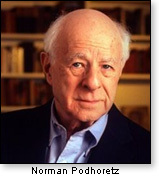 Liberal-turned-conservative icon Norman Podhoretz, author and longtime editor of Commentary magazine, further explains this aberration in his latest article, "Why Are Jews Liberal?" "Most American Jews sincerely believe that their liberalism, together with their commitment to the Democratic Party...stems from the teachings of Judaism and...the heritage of 'Jewish values.' But if this theory were valid, the Orthodox would be the most liberal sector of the Jewish community. [Yet] on every single cultural issue, the Orthodox oppose the politically correct liberal positions taken by most other American Jews precisely because these positions conflict with Jewish law." Podhoretz continues: "Liberalism has become more than a political outlook. 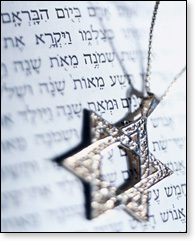 It has for all practical purposes superseded Judaism and become a religion in its own right.... [I]ndeed, many such secular Jews, when asked how they would define 'a good Jew,' reply that it is equivalent to being a good liberal." Another reason why Jews in our country are liberal is because, unlike those who lived for thousands of years before them – and were forced into a cruel diaspora, ejected from every country they tried to call home – American Jews grew up in the freest, most bountiful, most law-and-order country in world history, where none of them suffered the indignities and life-threatening specters of annihilation from pogroms or Crusades or an Inquisition or forced conversions or a Holocaust – and few of their parents or teachers taught them about these historical obscenities! 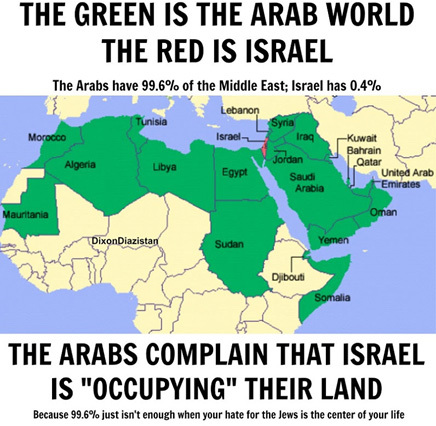 By the way, that's why there is and always has been so much antisemitism – pure green-eyed jealousy! How did a tiny people who were slaves in ancient Egypt for over 200 years and then marginalized for thousands more years wherever they went manage to survive and thrive and flourish so spectacularly? That's what the strongest human emotion – jealousy – does to the human psyche. When they see that the Bloomberg Innovation Index for 2019 lists the fledgling state of Israel – only 70 years old – as the 5th most innovative country in the world – ahead of Singapore, Japan, the U.S., France, Norway, and China – it drives those pathetic envious Jew haters stark raving mad! In this bastion of American liberty, the freedom of religion Jews had never experienced led many to abandon what they considered the oppressive strict observances they were accustomed to. At the same time, an awareness of their painful history inspired tremendous empathy for the underdog, the oppressed, the maligned – the victims of society. Hence, the liberal Jews converted from Judaism to a religion called Social Justice. 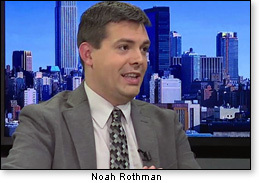 But according to Noah Rothman, author of Unjust: Social Justice and The Unmaking of America, so-called social justice "has become the antithesis of blind, objective justice....its essential nature compels its believers to treat individuals unequally in the name of equality." For leftist American Jews, going the "social justice" route allows them to bask in self-congratulatory narcissism, while distorting the Bible's teachings and replacing them with a universalist theology they call "tikkun olam," or what they delude themselves into believing is "repairing the world." These are the same people who applaud the new NY State law to engage in the premeditated murder of in utero babies of nine-months gestation the day before – actually the minute before – they're born. Some repair! And in the midterm elections of November 2018, the American electorate – including those leftist suicidal Jews – voted for not one, not two, but three in-your-face Jew haters and Israel haters! Here is a relatively short list of the Jew haters that liberal/leftist/progressive American Jews continue to support. Black leftists. According to historian Rafael Medoff, "American Jews played a significant role in assisting the African-American community throughout the past century – having a central role in creating the NAACP, building more than 5,000 schools for rural African Americans from 1914 to 1932, and participating actively in the black civil-rights movement of the 1950s and 1960s." But when the Black Power movement arose in the mid-'60s, the first people blacks irrationally turned against were the Jews. The World Council of Churches, which represents 350 member churches in 110 countries, and half a billion Christians throughout the world...fully embraces the vicious Boycott, Divest and Sanction (BDS) campaign to destroy Israel. Amnesty International, which just issued a report that isn't just anti-Israel, it obliterates Jewish history. The organization, as you can read here, has gone full-blown antisemitic. AirBNB, an American company offering short-term lodging services to lease or rent internationally, removed all listings of Jewish homes in Judea and Samaria (aka the West Bank) although not in other disputed territories owned by Turks in Cyprus, Moroccans in Sahara, Chinese in Tibet, or Russians in the Crimea, et al. The American Friends (Quakers), which "boasts," says writer Tabitha Korol, "of their history of non-violent activism, yet work to ultimately destroy the Jewish people and their ancient homeland, Israel, by inciting others to strive for Israel's annihilation, often through violence." The Anti-Defamation League under the leadership of Jonathan Greenblatt, a former Obama official. As Daniel Greenfield expresses: "Once upon a time, the ADL was a Jewish civil rights organization. Now it's just another generic lefty group that pretends to care about Jewish causes only long enough to fleece some of its donors. As the Left goes antisemitic, the ADL is becoming a threat to Jews." The United Nations, a cesspool of tin-pot dictators and anti-Semites on 2nd Avenue in NY City, which has a virtual fetish with the "Palestinian" issue. From 2012 to 2015, the UN General Assembly criticized individual nations 97 times, of which 83 were against Israel! Here, prolific author, former Harvard Law Professor, and longtime liberal Alan Dershowitz explains that "The suffering of the Palestinians, which does not compare to the suffering of other groups, has been largely self-inflicted. They could have had a state, with no occupation, if they had accepted the Peel Commission Report of 1937, the United Nations Partition Plan of 1947, the Clinton-Barak offer of 2000-2001, the Ehud Olmert offer of 2008. They rejected all these offers – responding with violence and terrorism – because they would have required them to accept Israel as the nation-state of the Jewish people – something they are unwilling to do even today." The heads of the Women's March: Linda Sarsour ("nothing creepier than Zionism"), Tamika Mallory ("white Jews, as white people, uphold white supremacy"), and Carmen Perez – all ardent admirers of hate preacher and head of the Nation of Islam Louis Farrakhan (Jews "are termites"). All of them share Ms. Mallory's sentiment that Israel doesn't have the right to exist. Newly-elected Congresswoman Rashida Tlaib (D-MI), the vulgarian who thought it appropriate to announce to the entire world (and worse, her nine-year-old son) her intentions re President Trump: "We're gonna go in there and impeach the motherf – er.'" Rep. Tlaib is a Muslim and daughter of people who call themselves Palestinians. She took her oath of office on Thomas Jefferson's Koran, which the third U.S. president obtained in order to understand the Muslim Barbary Pirates against whom he went to war, wrapped herself in a "Palestinian" flag (but accuses Jews of dual loyalty), aggressively supports the Boycott, Divestment and Sanctions (BDS) movement – which is a front for terrorist groups – designed to destroy Israel, and opposes aid to Israel. Newly-elected Congresswoman Ilhan Omar (D-MN), who also supports the antisemitic BDS movement and has wished: "may Allah awaken the people and see the evil doings of Israel" – a country she has said should not exist and has accused of apartheid. And she has also appealed to a federal judge to get lighter sentences for 33 Islamic State jihadists. Amazingly – talk about a crooked media – PJ Media documented that "105 articles covered Ilhan Omar's win but zero covered her antisemitism." Newly-elected Congresswoman Alexandria Ocasio-Cortez (D-NY) also fully supports the BDS movement, speaks constantly of "the occupation of Palestine" (which is nowhere on any map or Atlas in existence), and says that she descends from Sephardic Jews who fled the Spanish Inquisition to Puerto Rico but disclaimed this lineage by saying: "culture isn't DNA." And now she's having an oh-so-simpatico lovefest on Twitter with one of the world's most virulent antisemites, Jeremy Corbyn, the leader of the British Labor Party, who says that Jews, not Islam, are the source of global terrorism. Wannabe president Sen. Kirsten Gillibrand (D-NY) called these Jew haters "the suffragists of our time." And House Speaker Nancy Pelosi – she with the Jewish grandchildren – appointed these Jew-and-Israel haters to prestigious positions: Rep. Tlaib to the Financial Services Committee; Rep. Omar to the powerful House Foreign Affairs Committee, which gives her a platform to push her pro-Muslim, anti-Israel, anti-American agenda; and Rep. Ocasio-Cortez to the influential House Oversight Committee. It's relevant to mention here that Rep. Pelosi secretly hosted a fundraising event in 2012 with Hamas-tied CAIR (Council on American-Islamic Relations) with a price tag of $5,000 per person and $30,000 per couple. CAIR was named "unindicted co-conspirator" in the largest terrorist-funding trial in American history, but the indictment never happened because Barack Obama – who 80 percent of liberal, suicidal Jews voted for – shut it down. And – surprise, surprise – the woman who ran the country from 2009 to 2016, Valerie Jarrett, told these antisemites she's backing them up! Because, as I've documented, all the people and organizations they embrace, vote for, give money to, and teach their children to support "HATE THEM and WISH THEM DEAD!" Where, asks longtime Israeli columnist Isi Liebler, are "American Jewish leaders?" The Jew hatred today in the U.S., he says, goes "back to the Obama administration," when Mr. Obama "began to treat Israel as a rogue state, grovel to the Iranians, describe Israeli defenders and Arab terrorists as moral equivalents, and finally declined to veto the most biased and despicable resolution ever passed against Israel by the UN Security Council. The response by the majority of the American Jewish establishment, who were previously never reticent about raising their voices, was a deafening silence." And the past decade, Liebler continues, "has been one of unprecedented passivity and cowardice by the Jewish establishment – including the ADL, J Street, the Jewish Council for Public Affairs, the National Council of Jewish Women, progressive rabbis....[and] the Conference of Presidents of Major American Jewish Organizations, comprising 51 affiliates...."
"If the Jewish leaders do not reverse the tide," Liebler concludes, "most American Jews will be betraying Israel and, in the process, obliterating what little is left of Jewish identity." It's too late to reignite the love and pride and passion American Jews once had for Israel and the miraculous rebirth of their ancestral home in 1948, thanks to the heroic courage of President Harry Truman. Because of assimilation and intermarriage and the massive influx – actually invasion – of millions of Muslims into Europe (including the Scandinavian countries) and America, and the capitulation of the multiculturalist and diversity crowd to their money, as well as acceptance of Sharia law – including barbaric female genital mutilation and sadistic honor killings that exist in great numbers in the United States – there is once again a pandemic of antisemitism, only this time with the passive acquiescence of liberal Jews. We Jews are taught by our sages to accept and embrace all Jews, no matter their flaws or shortcomings. We are a tiny people, and only by understanding the imperative for unity will we survive. Look for the good in even the most egregious behavior of our fellow Jew – does he or she help the poor, take in the widow and orphan, donate generously to charity, etc.? Then accept that Jew, embrace him, love her. In Genesis 12.3, God tells Abram (before he became Abraham): "I will make you into a great nation.... I will bless those who bless you and curse those who curse you." Personally, I don't embrace the quisling Jews and other anti-Semites who opt for the toxic American liberalism that vilifies Jews and Israel. I curse them. And I promise them that their determination to destroy the Jewish state – because of their rancid hatred and obsessive jealousy – will fail as thunderously as all attempts over the past 5,000 years have failed.